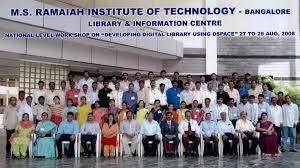 Ramaiah Institute of Technology (RIT) is a private engineering institute which was started in the year 1962 by the Gokula Education Foundation (GEF). The institute is affiliated to Visvesvaraya Technological University (VTU), Belgaum and is approved by National Assessment and Accreditation Council (NAAC) with grade A and NBA. 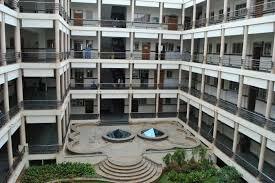 The institute offers various undergraduate courses like B.E., B.Arch., postgraduate courses like MBA, and MCA, M.Tech and research programs like Ph.D. with various specializations in computer science, management, biotechnology, architecture and engineering field. B.E., B.Arch., M.Arch., MBA, MCA, M.Tech, Ph.D.
NRI Quota (Wards of Indian Workers in other countries), PIO (citizens of other countries) and foreign nationals are given admissions in the institute as per VTU norms for the respective year. The candidates have to submit the copies of visa, passport and marks sheet of the exam and residential permit. The demand draft should be done in dollars in favor of MS Ramaiah Institute of Technology, Bangalore. 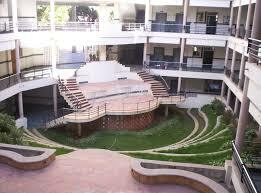 Ramaiah Institute of Technology has nearly 30% of the seats in all the courses reserved for direct admissions. 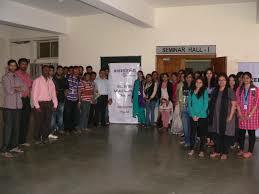 The candidates have to visit the college admission office in order to know about the further details required for admissions. The institute has gym with aerobic equipment and free weights to help the students improve general fitness, burning fat, building strength and sports conditioning. The internet center has 100 Mbps internet connection using UTM device with antispam and antivirus database. The library has 1421 standards, 75 video cassettes, 24000 databases, 3500 compact discs, and 37512 titles, 8640 E-Journals, 53 national and international journals and 127554 books. The hostels has rooms with 2 and 3 seater accommodation with facilities like Wi-Fi, music room, common room, canteen, mess etc. I am very interested to get admission of my Ward Sadat Junaid? Application form should be downloaded from the official website of the college and applications are accepted by institute every year in March. Eligibility criteria- candidate should have 10+2 from any recognized board with mathematics and physics as mandatory subjects along with Chemistry, biology, computer science as an optional subject in the qualifying exam that is eligible to take up under graduation course in RIT. Minimum 45% marks aggregate in all the subject secured in the qualifying exam that is required for admission and SC/ST/OBC require 40% minimum. Admissions are based on merit that is Entrance exam (KEA/ COMEDK) with academic marks and application date will start by 03 feb’19 and ends by 10 April’19. Fee structure for B. E is around INR 78,380 per annum and it may differ over the next years. I have given kmat2018 with 83.7% ,what is the process to get into your college as I am leaving in Bh? The qualifying examination marks is considered only for eligibility. Once the college is alloted , documentation verification is done. You have to block your seat and take an interview in the college. once your shortlisted,you can go for admission process. Selection to the course is made on the basis of merit scored in the KMAT/PGCET/CAT/MAT exams. candidate should have a 3-year bachelor degree from a recognised university wih aggregate of 50% and 45% in case of candidates belonging to SC/ST category. Admissions are done on the basis of marks scored in KMAT/CMAT/MAT/PGCET 2018 exams (any one mandatory).